Upstream Tech, a geospatial analytics company, joined Natel! Read more below. Upstream, an innovative geospatial analytics company focused on efficient, informed, and sustainable natural resource management, has joined the Natel Energy team! Upstream and Natel are partnering to mobilize economic forces that drive environmental good in both the water and renewable energy spaces. For hydropower customers, the collaboration will expand the services that Natel can provide with respect to efficient siting, screening, development, monitoring and operation of sustainable distributed hydropower – both retrofits into existing infrastructure as well as new Restoration Hydro. 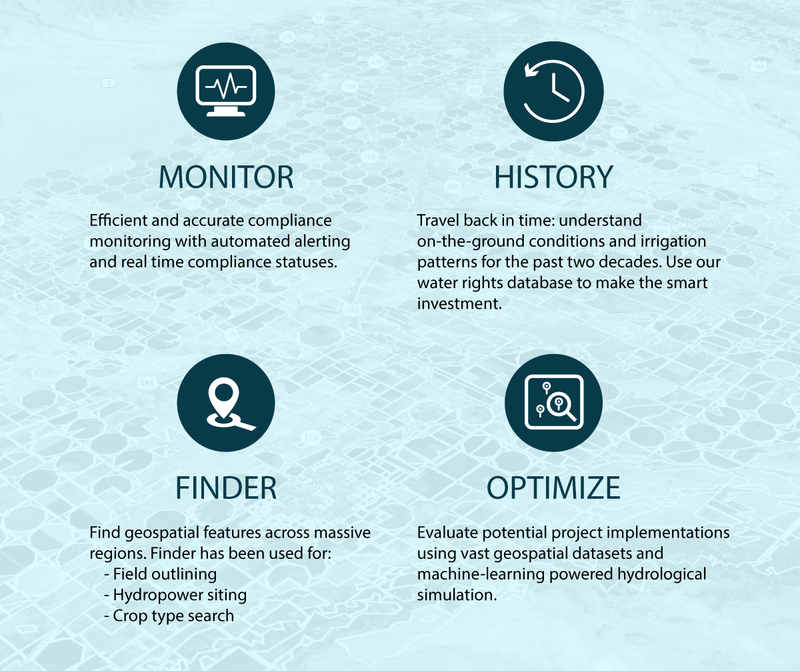 For water managers, conservation organizations, water investors and other entities with an interest in more accurate, up-to-date analysis of water resources, Upstream offers a suite of technologies that are combined into an easy to use, cohesive dashboard. Upstream will also be working closely with Natel’s development team to create repeatable, economically viable projects by leveraging Upstream’s platform to scale Natel’s Restoration Hydro framework. Natel commissioned a new hydraulic test facility capable of continuously running hydroEngines® at full head and flow. 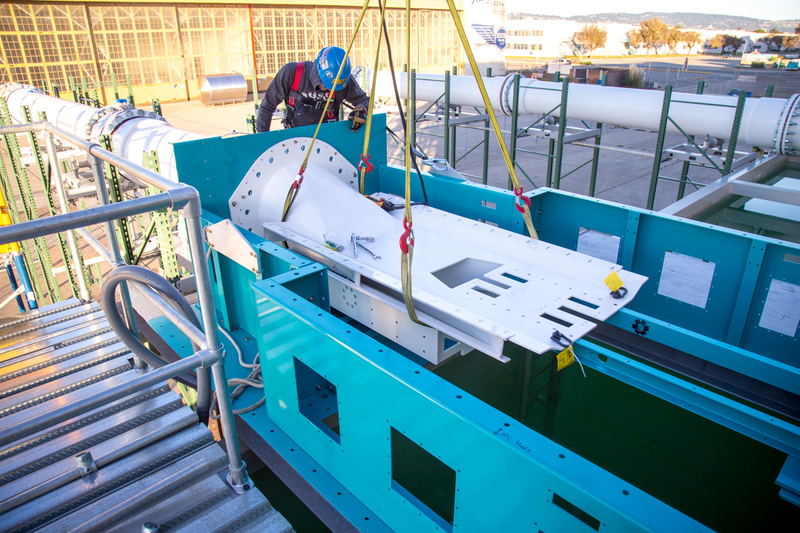 The upgraded test facility will enhance Natel’s ability to conduct performance and durability testing on full-scale machines in advance of field installations. Natel commenced assembly of its first commercial-scale Linear Pelton hydroEngine. The unit will be subjected to durability testing on Natel’s hydraulic test facility, with field installation planned for 2018. Natel has released a slideshow showing construction of the hydraulic testing facility and Linear Pelton hydroEngine build. View the slideshow here. On December 11th at 8pm, the documentary film “Happening: A Clean Energy Revolution” will debut on HBO. Featuring Natel, “Happening” highlights innovators, entrepreneurs, and communities leading the clean energy transition. See more information on the documentary and upcoming screenings here. The hydroEngine is featured in the latest issue of Hydro Review! Check out the full article here. Marshall Moutenot, Co-Founder of Upstream, spoke at this year’s annual MIT Water Conference on November 6th focused on the food-water nexus. Marshall participated in the “Uncertain Water Future” panel, focusing on Upstream’s work to help make more informed decisions about conservation of our freshwater ecosystems and ensuring sufficient supply for freshwater consumers. Check out more on the conference here. 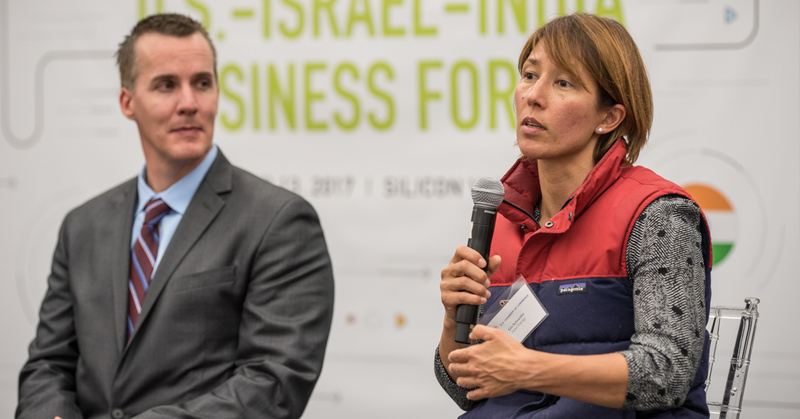 Gia Schneider spoke on a panel at the took part this November in the U.S.-Israel-India Business Forum on November 13, 2017, an event aiming to increase economic cooperation, strengthen connectivity among the business communities and advance projects and policy ideas in key sectors, including cybersecurity, water, smart transportation, and other technologies. More information on the Forum, the U.S.-India Business Council, and the U.S.-Israel Business Initiative can be found here. Natel is Hiring: Sales Manager and Engineering positions. Natel is hiring! See the careers page for more information.